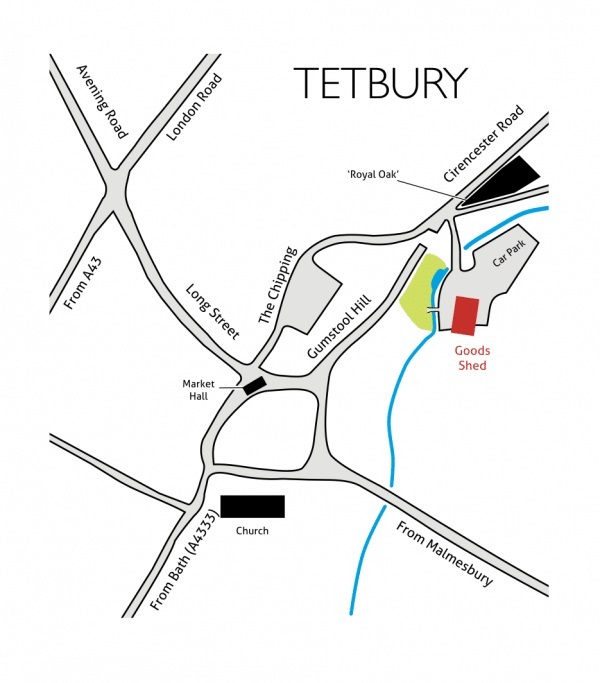 Half a century after the Tetbury Station closed, and twenty years after regeneration efforts began, Tetbury Goods Shed is back in business! We are Goods Shed Arts, with an ambitious vision to make the Shed into a regional centre of arts excellence as well as a place where everyone can have a good time. Goods Shed Arts is an entirely volunteer-run venue converted from a former Great Western Railway building in 2016-17. Generous support from the public and regional donors has allowed us to create a sound framework for the centre, although much work and development still lies ahead. Undaunted, our first season of events kicks off in March 2017. Ultimately our vision is for the Shed to become a regional centre of excellence for the arts while at the same time fulfilling the local need for arts and entertainment. At the heart of the Goods Shed vision is the ambition to encourage and capitalise on local talent in all areas of expression. There will be be dramatic performances by visiting artists. Musical performances will cover the full spectrum including dance events. Then, opening in autumn 2017, the Goods Shed Cinema, with a programme of films aimed at all age groups, will provide the town with a new source of regular entertainment. The Goods Shed office is currently manned from 11am – 1pm Mondays to Fridays. The building is open on Friday, Saturday and Sunday from 11am to 4pm unless there is no exhibition in the hall. Due to open summer 2017. If you’re using SatNav please don’t use the Shed postcode. That will take you to the bottom of Gumstool Hill, which is a dead end with no parking. Use this postcode in SatNav instead : GL8 8EY.